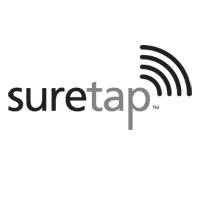 Customers of Canadian carrier Rogers can now add a range of merchant gift cards, managed by prepaid card provider Blackhawk Network, to their Suretap NFC mobile wallets. The gift cards are redeemed at merchants using standard barcode readers, and are available for Swiss Chalet, Milestones Grill and Bar, Montana’s Cookhouse, Harvey’s, Kelsey’s, Indigo, Earls Restaurants, Ardene and Spafinder Wellness 365. Rogers launched its Suretap wallet in November 2013 and added support for gift cards and an own-brand prepaid MasterCard in April 2014. You can use a DTAG100 to make the NFC connection even smoother. Connecting a DTAG100 at POS emulates bar code scanner and using the DTAG100 makes the transfer of the loyalty card ID and or coupon redemption more secure.